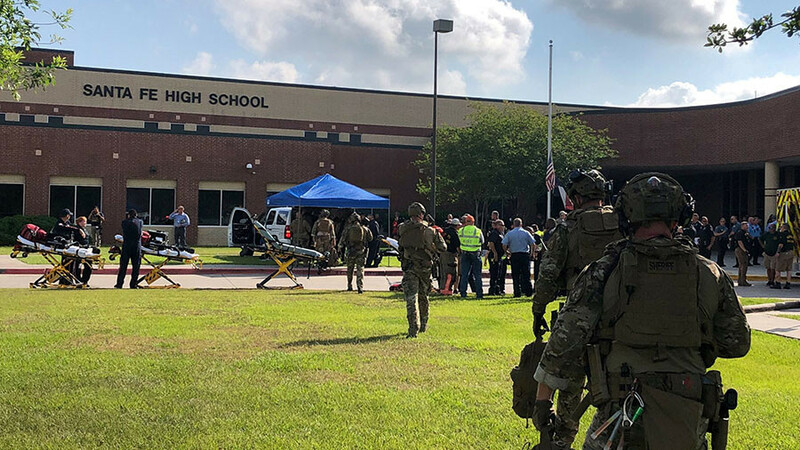 10 people have been killed at a school shooting in Santa Fe, Texas. Two people are being held by police who are also investigating a number of potential explosive devices at sites on and off campus. 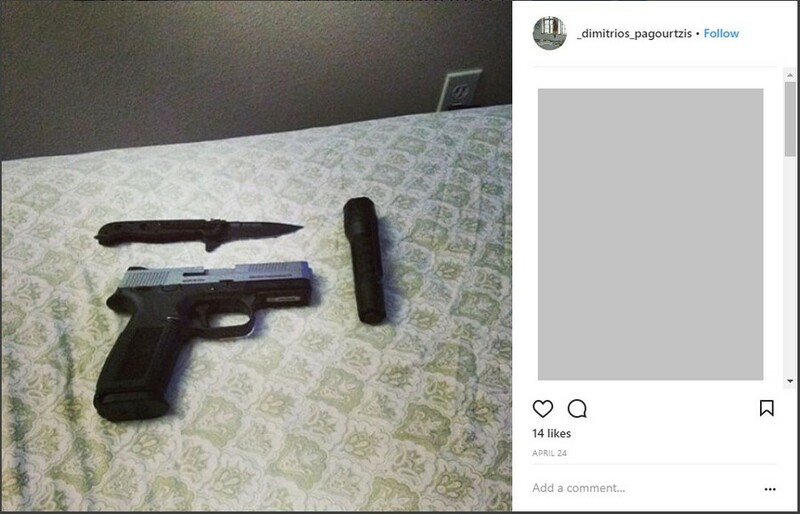 The shooter has been identified by law enforcement officials as 17-year-old student Dimitrios Pagourtzis. Pagourtzis reportedly wore a trench coat and a t-shirt emblazoned with the words ‘Born To Kill’ as he carried out the assault. 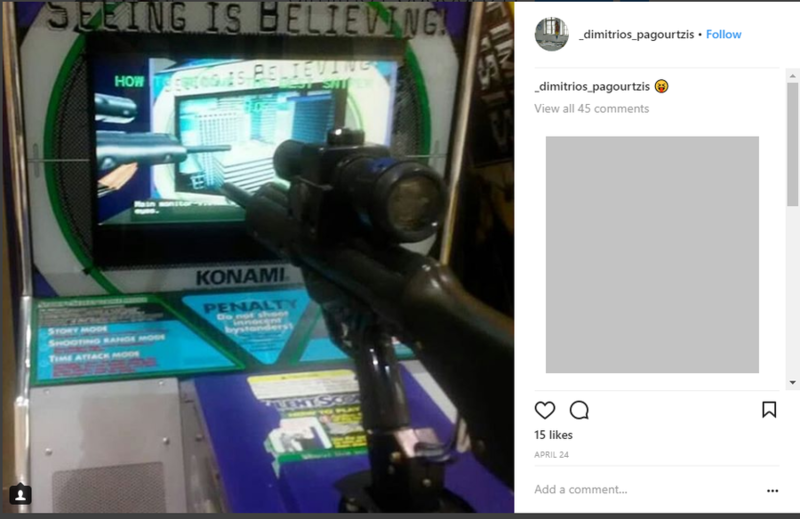 Pictures posted to what is thought to be Pagourtzis’s Instagram profile show arrangements of weapons as well as a sniper-scope arcade game. The profile has now been removed. In an address to the press, Texas Governor Greg Abbott said two weapons, a shotgun and a .38 revolver, were used in the attack. Abbot said the suspect got both weapons from his father. According to NBC, 10 people have been killed in the shooting, including one teacher and nine students. Police confirmed that “possible explosive devices” have been found at the school and off campus. Local residents have been asked to watch for suspicious packages. Photos from the scene show the extent of the police presence, with students lined up outside the premises. In a press briefing at the White House, Trump expressed his sympathy for the victims of the shooting. “My administration is determined to do everything in our power to protect our students, secure our schools and to keep weapons out of the hands of those who pose a threat to themselves and to others,” he said. Galveston County Sheriff Ed Gonzalez and the Bureau of Alcohol, Tobacco, Firearms and Explosives (ATF) have confirmed that their officers are responding to the incident. One local hospital confirmed it is treating three people involved in the incident, including one under 18 years old. We know that many of you are concerned about the patients from the Santa Fe High School shooting. Our doctors will be sharing another update at 11:45 a.m. on our @UTMBNews Twitter handle. Speaking to ABC 13, student Leila Butler said that at 7:45am the school fire alarms went off and students fled their classrooms. She says that some fellow students reported hearing shots. Another witness, Paige Curry, told reporters that she heard four to five shots before the fire alarm went off, but could not confirm seeing any injuries. Harris County Sheriff Ed Gonzalez confirmed that one person is in custody and a second person has been detained. Gonzalez also said that a police officer is among those injured.